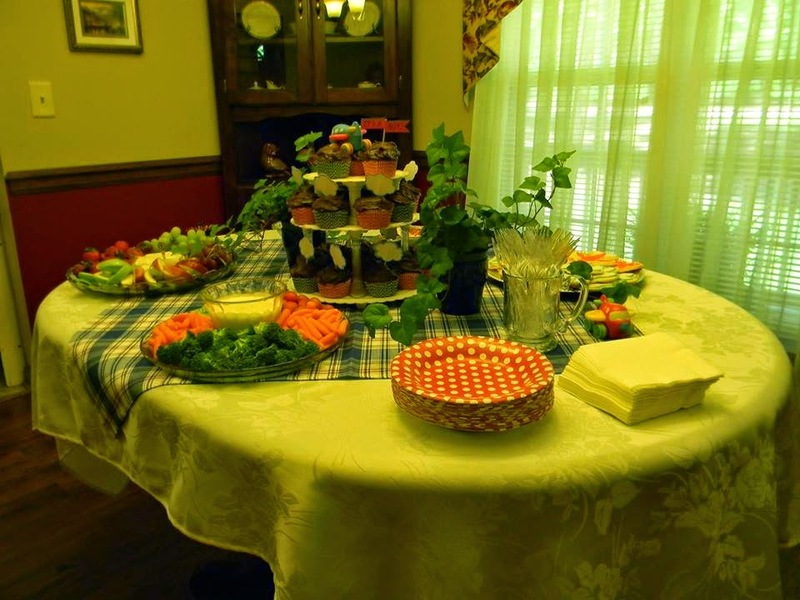 My cousin is expecting her first baby in June, so I was excited to host a baby shower for her earlier in May. She was decorating her nursery in madras plaid, but I wanted to add a theme to the shower...something that would be special to her. She works at Gulf Stream in Savannah, so I decided airplanes would be perfect! 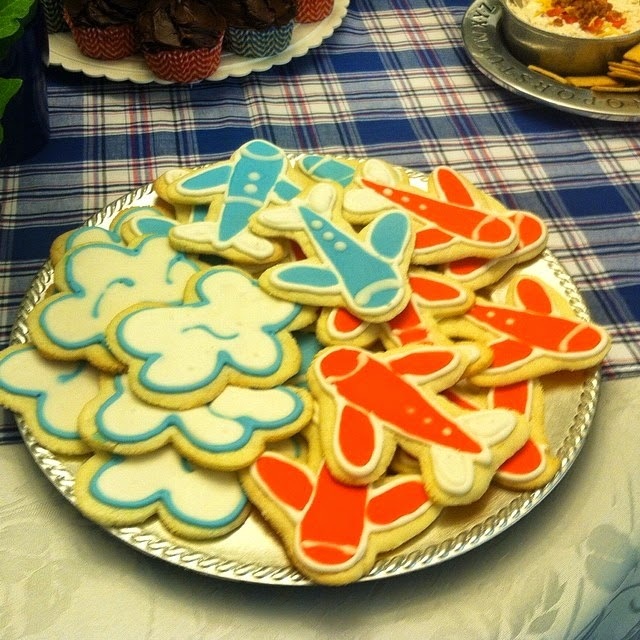 Toria Brown, a local baker, made the cloud and airplane cookies for me. She is so talented! I had alot of fun coming up with an idea for the cupcakes. 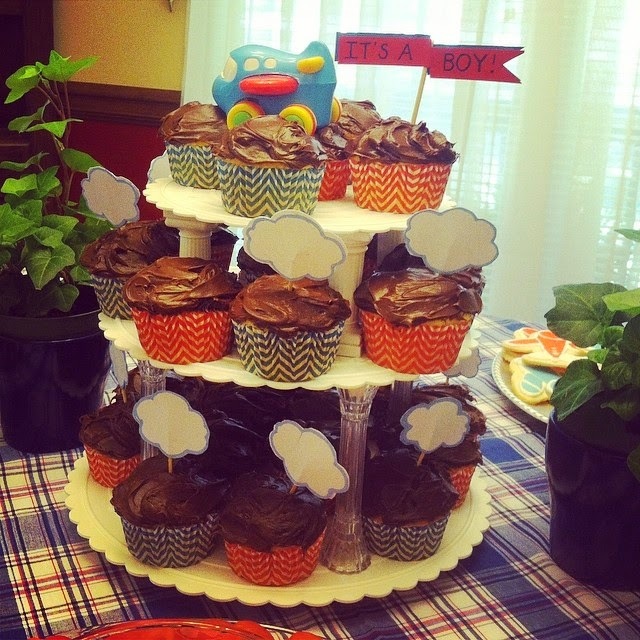 I decided the airplane theme on a cupcake tree would make the perfect center piece. 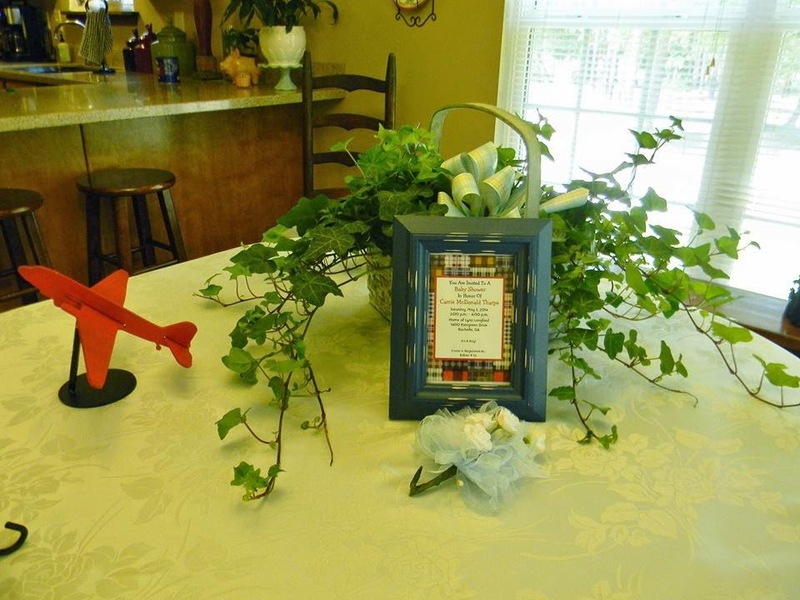 I bought the little plane on top at Walmart and Scott helped me make the flying banner behind it. I wanted it to look like the plane was pulling the banner through the sky, so Scott and mama also made these cloud pics for the cupcakes below. I know. Cute! I know I always apologize for it, but forgive the bad pics. 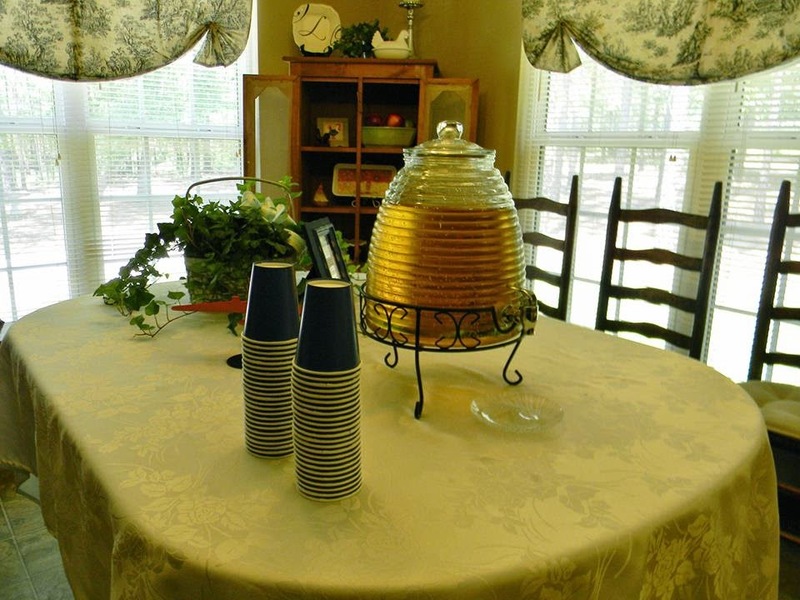 The lighting in my house is not good at all for pictures :) Below is a shot of the food table in the dining room. 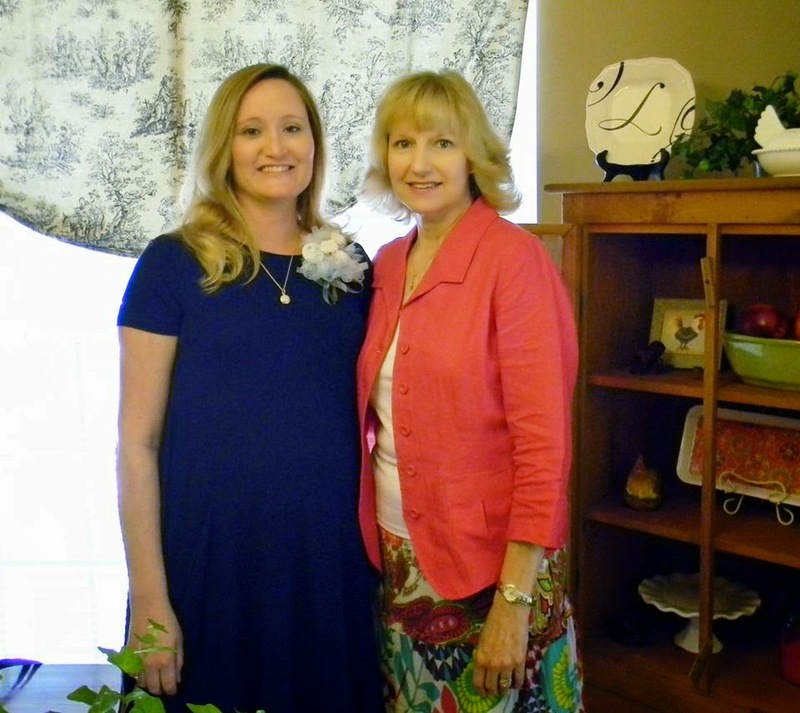 Carrie got alot of nice gifts and she is all ready for baby Jackson to make his appearance. We can't wait to meet him!